What was life like for the settlers of Canaan during the time of the Biblical Judges? According to author Robert D. Miller, archaeological surveys and excavations of the central hill country have provided a much clearer picture of daily life in ancient Israel during the time of the Biblical Judges and the early Israelite settlers of Canaan. The evidence for the early Israelite settlers of Canaan comes from two sources: archaeological survey and excavations. Much of the area of the central highlands, where most of the settlers of Canaan established their villages, was archaeologically surveyed in the 1980s and 1990s. 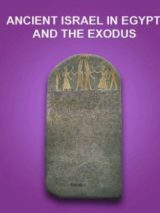 These surveys provided much useful information about daily life in ancient Israel during the period of the Biblical Judges, including the arrangement and size of tribal villages and even the nature of early Israelite economic and political systems. Excavation data, both from recent excavations (Shiloh, for example) and from digs long past (such as Bethel), also provide evidence of daily life in ancient Israel, including the society’s wealth, warfare and housing. From this evidence, the following portrait emerges of daily life in ancient Israel during the time of the Biblical Judges. The free eBook Life in the Ancient World guides you through craft centers in ancient Jerusalem, family structure across Israel and articles on ancient practices—from dining to makeup—across the Mediterranean world. The Israelite villages built by the settlers of Canaan were on hilltops. They were quite small, possibly 400 people in the largest of these—Shiloh or Gibeon, for instance. These towns were mostly unwalled, though they were part of larger political units or regional chiefdoms that provided security. The Israelite villages within a given region were subjects of the major town of the area, some of which, like Shechem, were very large and controlled considerable territory. Israelites lived in nuclear households during the time of the Biblical Judges, often with their relatives in clusters of houses around a common courtyard. Houses were made of mudbrick with a stone foundation and perhaps a second story of wood. The living space of the houses consisted of three or four rooms, often with sleeping space on the roof or in a covered roof loft. One of the first-floor rooms was probably a courtyard for domestic animals, mostly sheep and goat. At that time of the Biblical Judges, the hills were densely overgrown, covered with a thick scrub of pine, oak and terebinth trees. And it was often too rocky for the sheep, so raising animals never stood at the forefront of the economy. Instead, the early Israelite settlers of Canaan would burn off some of the brush, terrace the hillsides within an hour’s walk of the village, and plant grain, primarily wheat. Other lesser crops included lentils, garbanzo beans, barley and millet. They had orchards on these terraces as well. 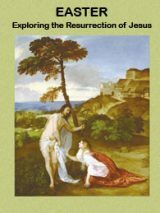 BAS Library Members, read more about daily life in ancient Israel during the time of the Biblical Judges in Robert D. Miller, Archaeological Views, “Israelite Life Before the Kings,” Biblical Archaeology Review, March/April 2013. Not a BAS Library member yet? Sign up today! This Bible History Daily feature was originally published in March 2013.
WHO WERE THEY THO AND WHERE THEY LIVED? I wanted to see how an average home looked during the early days of Israel. thanks. you really helped with my project. Amen Sistren” and brethren” God ye shall honor to thy that honor him’ and she that neil before him shall rise above all else that oppose her ! For she is mighty through God Almighty only!. Amen Brethren he that follows shalllisten learn and thrive well unto his Kingdom for God doest not forsake his children!. Amen brother! Solid evidence and words of share wisdom from both sides” Amen my Sistren” no falsehood will prevail against us ether for we are warriors of Christ Jesus! Women and men as well!. Why would someone want to cower to the ungodly and call it BCE? That is a fiction. There was a reason to the more God-honoring convention of B.C. and A.D. Thanks that was really helpful with my assignment. Please, please stop looking for an oppressive Father. To travel through time into the past and into the future you must clear your mind of the now. Seriously clear your mind. In the beginning we were in caves. Life was hard, vicious and unexplored. He directed that man be first then women than children. We knew everything spiritual and nothing physical. He loves us. He knew it would be hard at first. He knew it would be physical things we would have to conquer. We already knew the spirit. He put man above because of his physical strength and the ability of men to actually mix spirit and physical in their minds. Women are spiritual. We give birth. We are not in paradise where spirit is all. We are on earth where physical attacks us daily. Women and children were not oppressed, they were protected until the time of revelations. We we assigned help mates to conquer the physical world. Women do NOT need to direct men into spirit, the Father does that. If they do that then they hamper men from their duel purpose of conquering the vicious physical world. It was through men’s ability to carry spirit and to stand against the attacks of the physical world that the lives of women and children have improved. I Pray my simple understanding leads you to know we are so Loved by the Father. We cannot exist here in total spirit. Thank you Father for men. For without their God head, women and children and the Human race would not be.